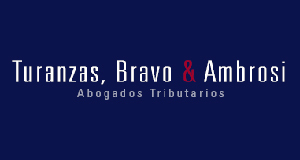 The MexCC invites you to the Mexico Tax Reform Breakfast Briefing that will be given by our special guest Mauricio Bravo, partner of the prestigious Mexican law firm Turanzas, Bravo & Ambrosi, and where he will explain in depth the recently approved tax reform in Mexico and its impact on the business sector. The tax reform approved by the Mexican Congress on October 2013 will have a deep impact in the business community at large and moreover in certain economic sectors. Therefore, it is fundamental for the investors and businesses to be aware of these changes for a smooth implementation and appropriate management. Political and economic landscape of the 2014 tax reform. New Income Tax Law. Salient features, and its impact to foreign investors and Mexican companies. Special Taxes. Impact on the food, beverages and mining industries. Exchange of tax information trends. New tax authorities' auditing powers. What to expect in the future. Would a new tax reform for 2015 be underway? This event will take place on the 7th of March at the Hyatt Regency London – The Churchill, Spenser Suite 1 (30 Portman Square, London, W1H 7BH) from 8.30 to 10.00 hours.